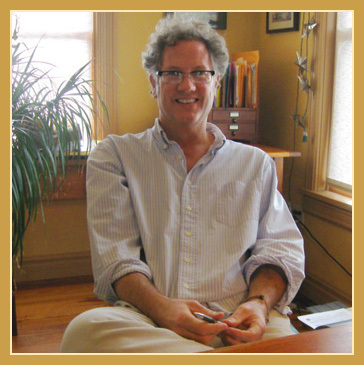 Brian is an Arkville native and has been a professional writer for more than three decades. Shortly after graduating from Siena College in Loudonville with a BA in English in 1980, Brian began his writing career as a reporter at the Catskill Mountain News in Margaretville, NY. 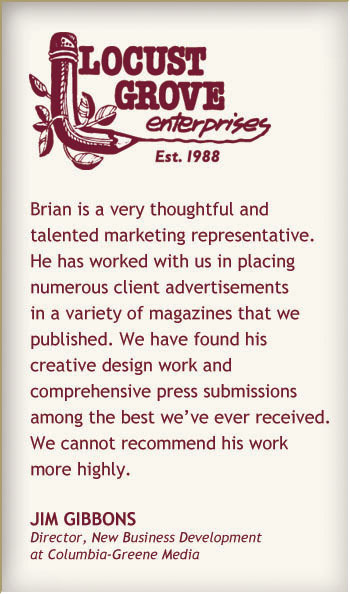 After about a year on the job, Brian was promoted to editor and remained in that position until establishing Locust Grove Enterprises in 1988. Brian’s observation that many businesses failed to properly promote themselves led to the decision to form Locust Grove Enterprises. Brian began a new phase in his life with his election to the Middletown Town Board in 2007. Along with helping the town government to operate smoothly and with sound fiscal policies, Brian tries to make decisions geared toward protecting the Catskill Mountains that are so dear to his heart. Brian has also served as a member of the Board of Directors of the Greater Margaretville Chamber of Commerce and for Kirkside Retirement Home in Roxbury. Brian’s community involvement also includes working as a JV and varsity basketball coach at Margaretville Central School for six years and he volunteered several years as a Legion baseball coach. In his spare time, Brian is a Fantasy Baseball fanatic and also takes pleasure in renovating neglected buildings. He and his wife, Carmel, enjoy spending nonworking hours at their mountaintop home (a former neglected building) near Margaretville. They are the parents of an adult daughter, Jessica.